When he was inspired by the movie Roots to document the heritage of his hometown of Navassa, in Brunswick County, Eulis Willis had no idea that it would take more than eight years to complete. He spent hundreds of hours scouring tax records and tracing deeds in Bolivia, the county seat, and took a few road trips to the state archives in Raleigh for his book, Navassa, The Town and Its People: 1735 to 1991, which was published in 1991. Willis, the mayor of Navassa, was first elected in 1999. He didn’t know he was Gullah-Geechee until 2006 when he was approached by the board of the newly formed theGullah-Geechee Cultural Heritage Corridor. Congress established this corridor to preserve and share the heritage, data, artifacts and historic sites of the Gullah-Geechee people, the descendants of West Africans slaves. 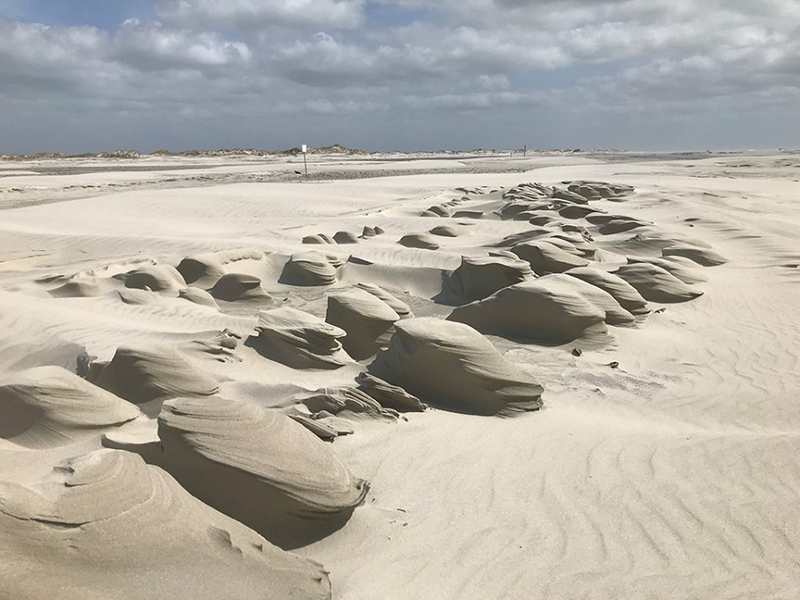 The corridor extends from the northern border of Pender County in North Carolina to the southern border of St. John’s County in Florida and 30 miles inland. The corridor closely matches the areas along the Southeast coast where the Gullahs were most prominent, but today the Gullah area is largely confined to the South Carolina and Georgia low-country, including islands off those states’ coasts. “Gullah” was originally used to designate the variety of English spoken by Gullah and Geechee people, but over time it has been used by its speakers to formally refer to their creole language and distinctive ethnic identity as a people. The Gullah people and their language are also called Geechee, which some scholars speculate is related to the Ogeechee River near Savannah, Ga. Living in relative isolation in rural areas, the Gullah developed a culture that has preserved much of their African linguistic and cultural heritage while absorbing new American influences. They speak an English-based creole language that contains many African words and is influenced by African languages in grammar and sentence structure. 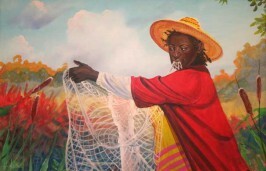 Gullah story-telling, rice-based cuisine, music, folk beliefs, crafts, farming and fishing traditions all exhibit strong influences from West and Central African cultures. His grandmother spoke the Gullah-Geechee language, but the folks of his generation thought it was just broken English or poor grammar. “We didn’t know what we had,” he smiles. “But she made the best necks and rice,” he says, referring to his favorite pork dish. Once here, the Gullah-Geechee developed their own language, a combination of at least three African languages and English, which is still spoken today. Willis’ wife, Terryce, cooks his necks and rice now, making him a very happy man. She traced her ancestors back to the nearby Mears Bluff Plantation, where her great-great-great grandfather was an overseer. “George Weston came from West Africa and knew everything about rice,” Willis says. After the Civil War, many Gullah-Geechee remained near the plantations and, like Willis’ family, have only migrated to larger cities during the past two generations. “Navassa is a Gullah town,” Willis says. He believes that the same goes for the towns that sprouted up along the Cape Fear and Brunswick rivers where the former rice plantations were. “Belleville, Navassa, Northwest in Brunswick County – these are all Gullah towns,” he says. Sylvia Ezelonwu is a N.C. commissioner who helps manage the corridor. The Cape Fear Community College instructor is a native of Loris, S.C. She learned she was Gullah-Geechee around the same time as Willis, when the corridor was established in 2006. Ezelonwu recently began researching the lives of the Gullah-Geechee longshoremen who worked the coastal ports. She hopes to capture the stories of these men before they are gone. She was inspired by her own father, who worked the ports his entire life but is now deceased. “I hope to preserve their story before it is too late,” she smiles. Smalls hopes to organize another event like it in the next few years. She is a Wilmington native who also grew up with rice as a constant dish on the table. Once she discovered that she was Gullah-Geechee, she was thrilled. Smalls has done extensive research into the slave narrative, listening to the oral histories of former slaves and descendents of slaves. Her paper, Lifting Gullah Voices: Bound by Political Correctness, is currently undergoing peer review. It is just the beginning for Smalls. “I want to present in their own words how they viewed their lives after the plantations,” she says. That is how she intends to preserve the Gullah-Geechee presence locally. 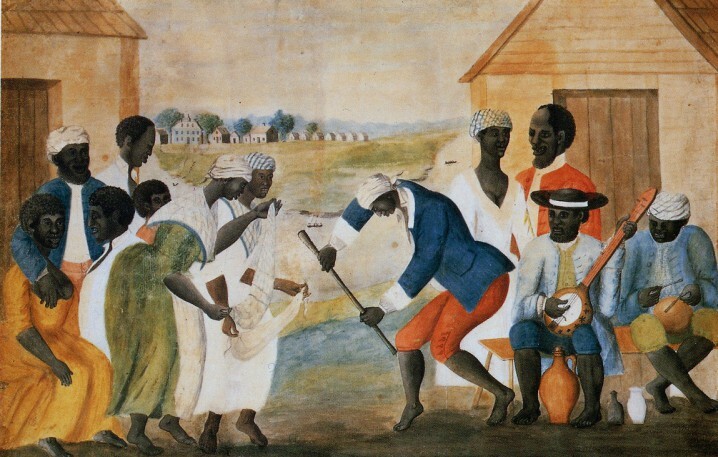 For many years, the Gullah culture was pigeonholed to the sea islands of South Carolina and Georgia. However, when historians compiled research on the national corridor, they realized the Gullah-Geechee culture was spread up and down the Southeast coast. Anywhere there had once been a coastal plantation, there were descendents of the West African slaves who remained in the area. Back in Navassa, Mayor Willis and a group of local residents have formed a foundation to preserve a chapel building from the former Cedar Hill Plantation on Indian Creek. The 140-year old building was moved to a one-acre plot on Cedar Hill Road in the early 1900s. Known now as the Reaves Chapel, the historic structure would be an ideal setting for a small library and Gullah-Geechee resource center. The chapel itself was built by and a place of worship for many local former slaves after the Civil War. After it was relocated, it served as an African Methodist Episcopal congregation until the late 1990s. Today, it is vacant, but if Willis and his team have their way, the Gullah-Geechee story will have a permanent home in Navassa. 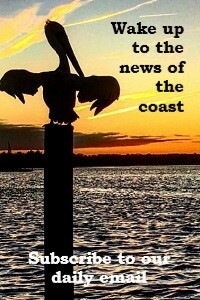 Denice Patterson is a preschool teacher and free-lance writer in Ocean Isle Beach. She has degrees from Penn State and N.C. State universities and has been writing about people and places in North Carolina for 25 years. She has been published in the "North" and "South Brunswick" magazines, "Carolina Gardener" and "Our State" magazine.